Waterproof, breathable, mid thigh length rain jacket with a roomy hood, constructed with GORE-TEX® 3L technology that is lightweight and durable. Designed with a relaxed fit and a casual, refined style, and patterned with articulated shoulders and elbows for enhanced comfort and ease of motion. A raincoat is an essential wardrobe piece. 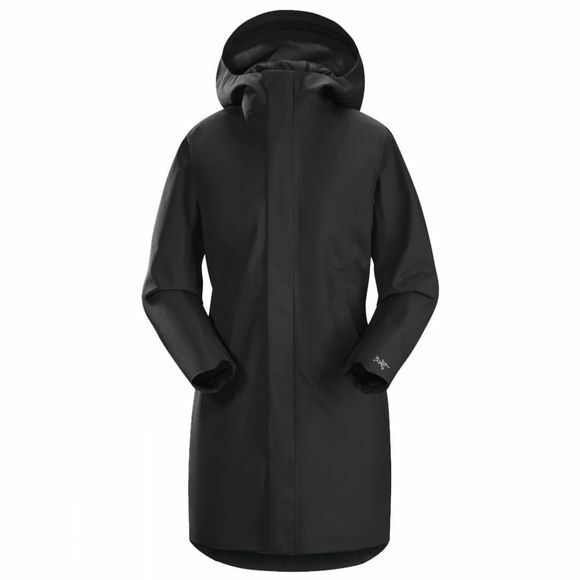 With contemporary technical fabrics and construction methods, the functional raincoat has evolved into a stylish, streamlined, urban design piece. GORE-TEX® fabric is windproof, waterproof and breathable protection. Taped construction seals seams against leaks and the WaterTight™ zipper is protected by a zipper flap in the case of downpours. 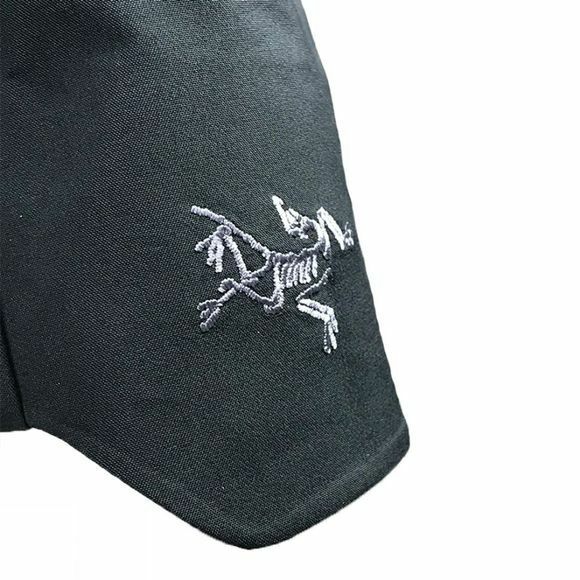 Hem vents fit over a bicycle seat and shaped cuffs cover the back of the hand and wrists for good coverage while riding in cool weather. The hood has a laminated brim that holds its shape; a snap at the top of the zipper secures the zipper flap. Athletic fit works comfortably over street clothes.